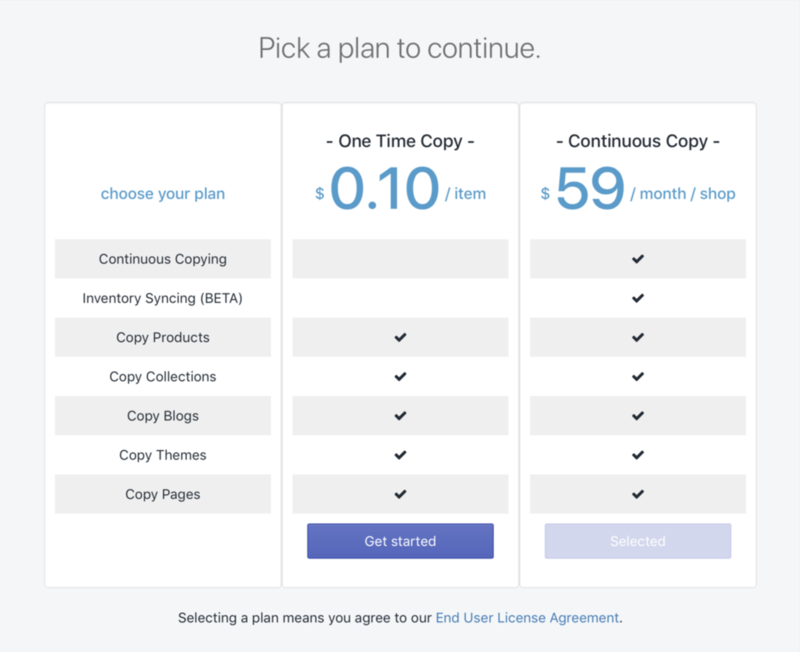 (2) the Unlimited Plan, for more than one copy or for setting up continuous, automatic copy tasks. Copying Product Metadata can only be enabled on this plan. *Please note that for either use case, ALL stores being copied to/from will need to be subscribed to the same plan. However, if at any point you wish to manually change your paid plan from one to the other, this can absolutely be done with just a few simple clicks. 1. 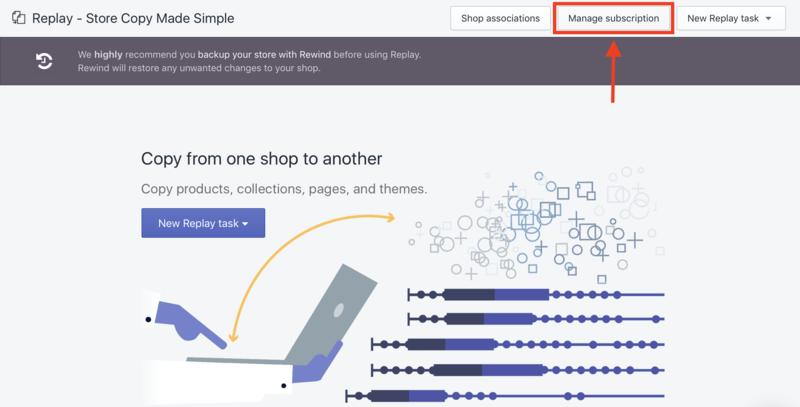 From your Replay home page, in the upper right-hand corner of the screen, select the middle button, "Manage subscription". 2. On the right-hand side of your 'Current Plan', click "Change plan". 3. Select the plan you wish to change your subscription over to by clicking "Get started" underneath the respective plan. The page will refresh and take you back to your Replay home page. A pop-up will appear, confirming "Your subscription has been updated". To review this change and see your new Replay plan, go back to your subscription page (as defined in Step #1).